At Jefferson Landscaping we are doing our part to reduce our carbon footprint with our conversion to propane mowers and battery-operated tools. We are looking to lead the industry in alternative fuel by becoming the first landscaping company in the Northwest to convert from gasoline to propane mowers. We are already well on the way, having converted over 30% of our midsize mowers to propane. Propane is a non-toxic, colorless, and odorless gas produced from natural gas processing and crude oil refining. Propane is a safe fuel to use in both home and business environments. Clean, efficient propane has long been recognized as an environmentally friendly energy. It’s an approved alternative fuel listed in both the Clean Air Act of 1990 and the National Energy Policy Act of 2005. CLICK HERE to see our equipment in action! The level of damaging emissions resulting from propane fuel combustion is far below that of any carbon based fuel used today. Using propane cuts smog-producing exhaust by as much as 70%. 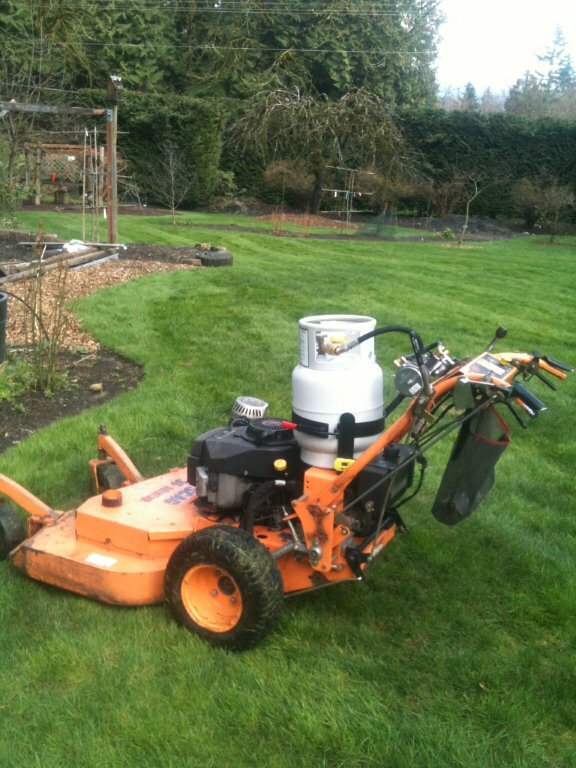 Propane lawn mowers produce significantly less hydrocarbons than gasoline and diesel lawn mowers. Hydrocarbons are a precursor to ground-level ozone, a serious air pollutant and component of smog. 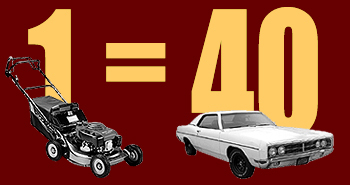 Studies show that one gasoline powered mower pollutes as much in one hour as 40 late model cars. According to the EPA, an estimated 17 million gallons of fuel, mostly gasoline, are spilled each year while refueling lawn equipment. Propane lawn mowers have a closed fueling system that prevents spills. Therefore, propane will not contaminate the environment like gasoline and diesel. Propane fuel provides safe, clean, reliable, efficient and secure energy. That means security for our families, good value for our customers, and protection for our environment.